When you need to replace the old worn out windows and doors of your Edmonton home, the first thing to do is find the right contractor for the job. But it easier said than done. Unless you have worked with a specific company, it is difficult to determine whether they meet your requirements and expectations. If the windows and doors replacement is for aesthetic purpose only, there is no need to rush. But if the damage of any kind is the cause of concern, it is best not to delay. A broken window or a leaky door may be the cause of substantial energy loss for your home. Again, mold damage to a window or door may spread to other parts of the home. How do you find the right professionals for window and door replacement? Before you start your search, you need to understand the key points to make the right decision. Here are a few tips to make the task simpler. Tip 1: Set a budget. Whether you are installing the windows and doors to enhance the look of the house or for replacing the damaged ones, you need to consider how much to spend on them in advance. But don’t overemphasize on the price factor; think about the long-term benefits of your choice too. Tip 2: Focus on quality. Remember, the quality of the materials as well as the installation service matters. Without the right manufacturer and contractor, you may end up with defectively installed poor quality doors and windows. Ask for a free price quote, look for online references, and check out testimonials before you order anything. Tip 3: Determine the style. 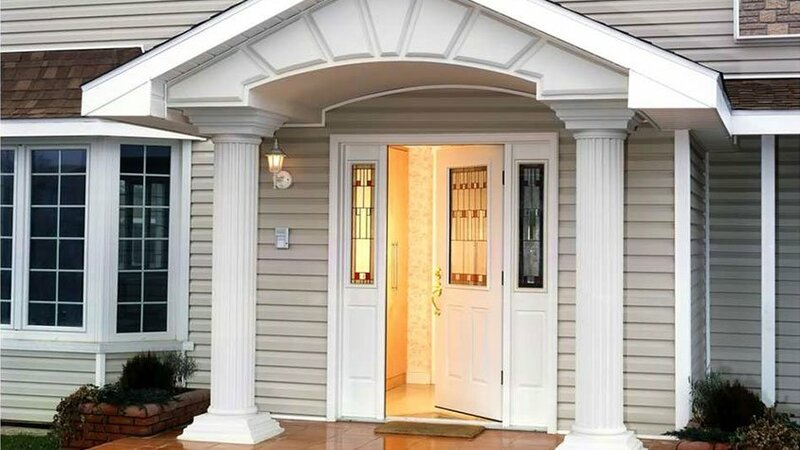 Do you wish for an all wood front door? Do you think casement windows would be better for your home? Do you need tinted glass for the windows and doors? Think about the details. Ask the contractor about the choices available, the pros and cons of each, and the cost. A competent professional would be able to answer it all. Tip 4: Consider convenience. Your life cannot stop just because you have to work with the contractor to replace the windows and doors Edmonton. Ask when they would be available for a thorough inspection to provide you a price quote. You can rely on them if they show up on time. Also, inquire about the exact time they need to complete the job. Tip 5: Think about energy-efficiency. Today’s technological advancements make it possible to install windows and doors that boost the energy efficiency of your home. And you cannot ignore this if you want to save on the energy costs in the future. For this, you need to select a contractor who can provide you with high quality energy-efficient materials and styles. Window Mart, a premium manufacturer, and installer can make sure that the windows and doors of your Edmonton home are replaced on time and with minimal hassle. With their remarkable range of products and services, they are sure to impress every homeowner.